Philip Melanchthon (1497-1560) was something of a child prodigy. He graduated BA from Heidelberg at 13; MA from Tübingen at 16; and became the Chair of Greek at Wittenberg University at only 21. A shy and scrawny scholar, Melanchthon stood in complete contrast to his robust and rugged colleague, Luther. However, the pair complemented each other and would work closely together for 20 years. Pettegree describes Melanchthon as the ‘towering intellectual force of Wittenberg’s Reformation’ – he was the most important of Luther’s friends and collaborators and without him ‘the Reformation would have been immeasurably diminished’ (Pettegree, 2015). 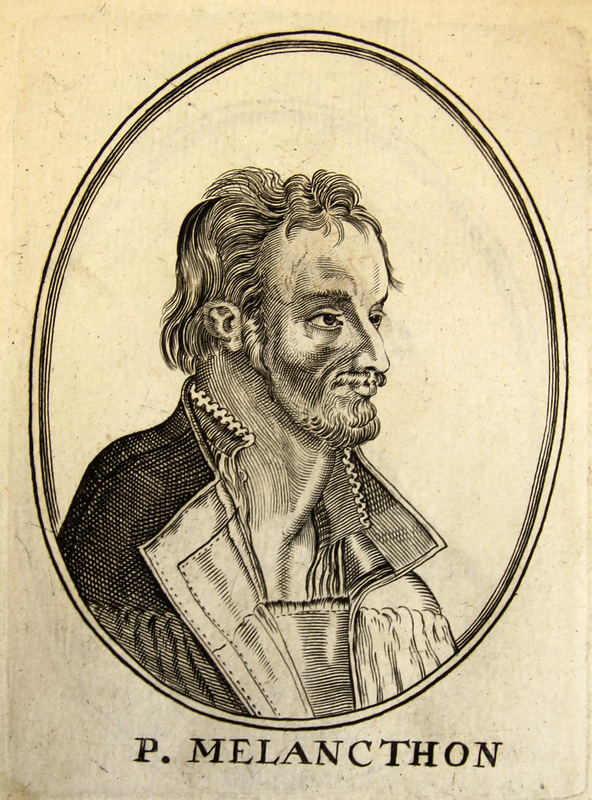 [James Stewart], “ ‘Philip Melanchthon’, from [Herōologia Anglica],” ourheritage.ac.nz | OUR Heritage, accessed April 20, 2019, http://ourheritage.ac.nz/items/show/10348.